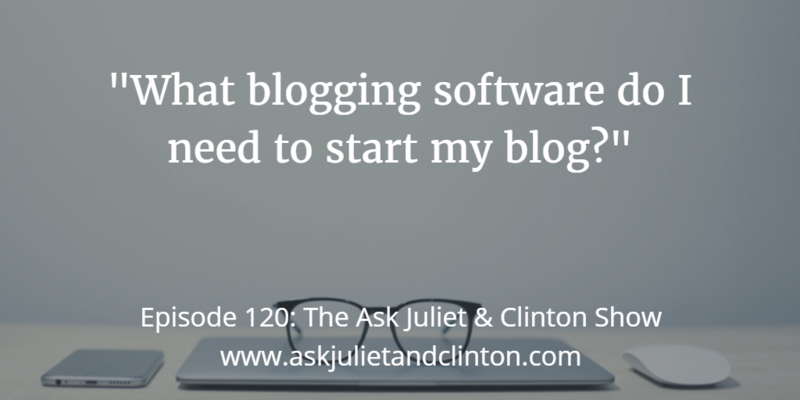 Episode 120: What blogging software do I need to start my blog? 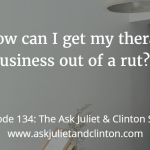 In this episode, Juliet and Clinton answer the following questions: 1) What blogging software do I need to start my blog? 2) When starting a blog, should I start building my email list first or should I write blog posts first? 3) How do I find new content ideas for my blog? 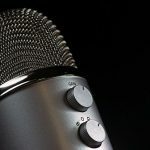 Episode 119: Can you get more traffic to your website from Google if you have a blog? 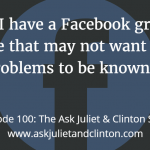 Episode 121: How do people come up with ideas for blog posts on a regular basis? 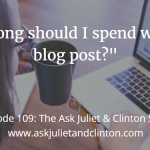 Episode 109: How long should I spend writing a blog post?